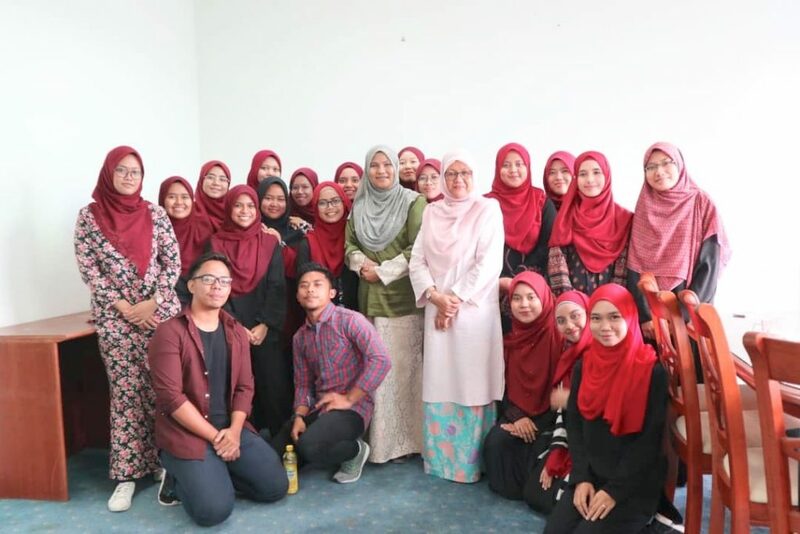 GOMBAK, 4 April 2019 – Guidance and counselling students gained exposure to career development following a professional talk on career held on Tuesday (2 April) at Kulliyyah of Education. The talk delivered by Madam Norrul Aikma Mohamed, a psychology practitioner in army sector, was aimed to create awareness among education students on the job opportunities in counselling and psychology. Throughout the two-hour session which was held from 11 a.m until 1.00 p.m, Norrul Aikma Mohamed shared her experiences of being a psychology practitioner in army sector and a psychology employee in the Ministry of Defence. She shared about her role of being a psychologist in workplace and meeting with a of clients who have problems from different backgrounds. She also reminded the students to seek a lot of experiences while being students. “It will create your beautiful curriculum vitae and help you to look for the job,” she said.